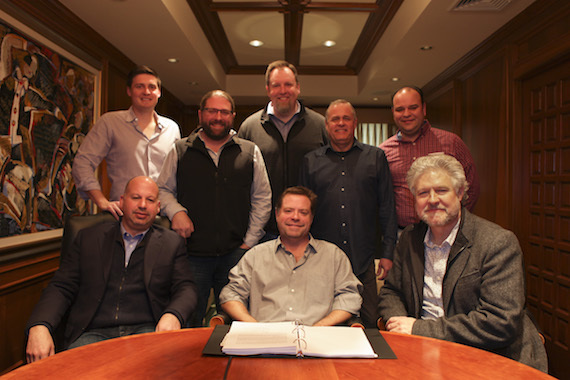 Pictured (Front Row, L-R): Jon Singer, CFO, Spirit Music; Frank Rogers, Daniel Hill, President, Spirit Music Nashville. (Back Row, L-R): Ross Cameron, VP of Acquisitions, Spirit Music; Chip Petree, Ritholz Levy; Brian Bradford, Dir. Administration, Spirit Music; Billy Lynn, VP Creative, Spirit Music; David Crow (Milom, Horsnell, Crow, Rose, Kelley). 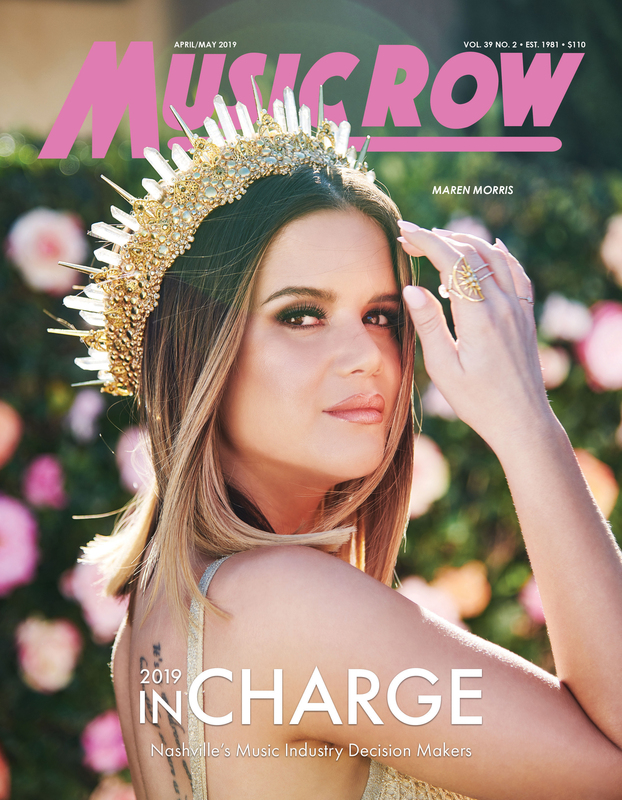 Spirit Music Nashville and producer, songwriter and music publishing executive Frank Rogers have inked a multi-faceted agreement, MusicRow has learned. Spirit has acquired Rogers’ one-third interest in certain copyrights of Nashville publisher Sea Gayle Music, according to Spirit Chairman & CEO David Renzer and Spirit Music Nashville president Daniel Hill. Rogers co-founded Sea Gayle with Chris DuBois and Brad Paisley in 1999. As part of the agreement, Spirit has formed the joint venture Fluid Music Revolution with Rogers, allowing him to bring new artists, producers and writers to the company. He will be based out Spirit’s Nashville office in conjunction with the current team. Rogers also joins Spirit’s roster as a songwriter, while the company will exclusively administer all of Rogers’ new compositions. Sea Gayle Music, which was named ASCAP Country Publisher of the Year in 2010 and 2011, features a catalog of 40 No. 1 hits and an impressive roster of artists and writers. “Spirit is honored to partner with Frank Rogers in both his catalog and new works. Frank is one of the most qualitative talents in Nashville with a proven track record of writing and producing # 1 hits. We’re also excited about working with Frank in signing new talent together and continuing to build Spirit’s already impressive Nashville presence,” said Renzer. “Frank Rogers is a rare creative talent who has attained great success as a hit songwriter, publisher, and producer, and Sea Gayle is one of the most successful and versatile independent catalogs. Spirit Music Nashville is thrilled to be entrusted with Frank’s share of these valuable copyrights, and we look forward to much continued success with Frank and our joint venture with Fluid Music Revolution,” said Hill. “I am thrilled to be partnering with Spirit Music Group. Spirit has built an impressive independent publishing powerhouse and I am honored to be a part of their future. Spirit is an exciting partner for Fluid Music Revolution, my future songwriting endeavors, as well as a great home for the Sea Gayle Music catalog. I look forward to creating a dynamic roster of songwriters, producers and artists with Spirit’s support. I thank David Renzer, Jon Singer, Daniel Hill, and Mark Fried as well as the rest of the talented Spirit Music staff for the excitement, passion and opportunity to build something great together,” said Rogers. Among the many hits included in Sea Gayle Music’s catalog are “Lonely Tonight” by Blake Shelton, “Perfect Storm” by Brad Paisley, “Buy Me a Boat” by Chris Janson, “Yeah” by Joe Nichols, “Drink a Beer” by Luke Bryan, “Southern Girl” by Tim McGraw, “Southern Comfort Zone” by Brad Paisley, “Love’s Gonna Make it Alright” by George Strait. Rogers has won MusicRow’s Producer of the Year award three times. He’s also co-written numerous songs, including three Hot Country Songs No. 1’s (“I’m Gonna Miss Her (The Fishin’ Song)” by Brad Paisley, “Alright” and “This” by Darius Rucker). Spirit Music Nashville’s recent acquisitions include Cal IV Entertainment and the StyleSonic catalog. Spirit Music Group is headquartered in New York with offices in London, Los Angeles, Nashville and the Netherlands. Spirit is a portfolio company of Pegasus Capital Advisors, the New York-based private equity fund manager that has been providing creative capital and strategic solutions to growth companies since 1996.